The application period for the 2019–2020 class of Pacific Standard fellows closed on March 22nd, 2019. A team of editors will review all submitted materials and respond directly to select candidates to arrange follow-up conversations. We anticipate we will post the call for applications to join the 2020–2021 class in February of 2020. Those posts will be available here, alongside all Pacific Standard job listings. Pacific Standard and The Social Justice Foundation offer two 12-month paid editorial fellowships and two 12-month paid audience and engagement fellowships on a rolling basis, typically starting in July. Applications for the fellowship program are accepted depending on the organization's needs. Several previous fellows are now in full-time editorial and/or engagement positions at Pacific Standard, Outside, The Hollywood Reporter, The Atlantic, and a variety of other publications, both in print and online. Our fellows work closely with several key members of our team and gain valuable experience in all aspects of digital magazine publishing. The ideal Pacific Standard editorial fellow is pursuing public interest journalism as a career, has experience working in a deadline-oriented environment, and has an abiding interest in public policy and social justice, as well as an understanding that investigative reporting and academic research are vital to finding solutions for society's most significant and pressing problems. Work closely with the staff to write well-executed daily news articles on a variety of research-based subjects in the areas of social and environmental justice. Assist the editorial staff with story research, fact-checking, and interviews for our longer narrative and investigative features. Report, write, produce, and publish longer-form articles and other features as time allows. Help with general office responsibilities such as online story production, proofreading, spot-checking, and gathering materials—graphic, photographic, etc.—to accompany articles. A strong understanding of, and willingness to learn, how to deeply research a variety of topics, and be objective when gathering information. Experience reporting and writing articles, either in print or online. Willingness to accept direction, and participate fully in a collaborative work environment. An ability to establish priorities, work independently, and proceed with multiple assigned objectives without close supervision. The ideal candidate for Pacific Standard's engagement fellowship should be pursuing public interest journalism as a career, have experience with social media production and audience development, and have an abiding interest in public policy and social science. We're a small office, so this role will directly support the growth of our site's readership. Assist the Pacific Standard team with building and maintaining the publication's social strategy across multiple platforms, including Facebook, Twitter, and Instagram. Track engagement and readership on a daily basis, identifying key trends and content partner sites that the audience team can use to spread our stories. Work closely with the audience team to foster outreach to our reading audience, creating graphics and copy that strengthens our daily and feature reporting. Brainstorm and develop engagement efforts in support of Pacific Standard stories and packages, connecting potential readers with our content and fueling conversation (through Reddit AMAs, for example). Help with general production responsibilities for the site, including working on our content management system to stage partner posts and translate print stories to digital formats. A strong understanding of Pacific Standard's editorial voice and a willingness to learn how social media strategy can power audience growth. A sharp interest in the news production cycle and what kinds of stories the Internet enjoys. Experience producing copy tailored to individual social platforms, with a knowledge of what works best on each. An understanding of best practices for social media and audience engagement for journalistic outlets. Willingness to accept direction and participate fully in a collaborative and creative work environment, while also working independently and proactively on multiple assignments. The ideal Pacific Standard visuals fellow is pursuing public interest journalism and interactive storytelling as a career, has experience working on digital storytelling projects in a deadline-oriented environment, and has an abiding interest in public policy and social justice, as well as an understanding that investigative reporting and academic research are vital to finding solutions for society's most significant and pressing problems. Work closely with our editorial and audience teams to produce well-executed interactive and data-focused projects to compliment our daily news coverage, investigations, and reported features. Assist the editorial staff with the conception and execution of interactive and multimedia projects as a part of daily news coverage, social media initiatives, and feature stories. Pitch projects that have a primary focus on visual storytelling or data-focused elements. Help with general office responsibilities such as online story production and gathering materials—graphic, photographic, etc.—to accompany articles. Experience with simple graphic creation, and photo and video editing tools and techniques. An understanding of the Adobe Creative Suite is preferred. Competence in working with social science or research data to create visualizations that can either compliment reported stories or stand alone as an editorial product. Because our fellowship is full time and 12 full months in length, it is not appropriate for matriculated students. The fellowship program typically begins the first week of July and participants are paid a stipend in regular monthly installments. Fellows also receive two weeks of vacation and one week of sick time for the duration of the program, to be coordinated with their supervisor/s. 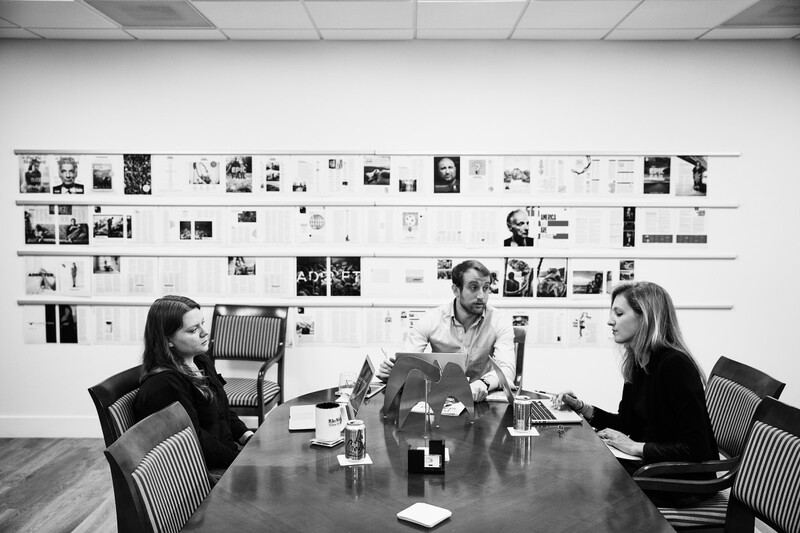 It is expected that editorial fellows will work standard hours, 9 a.m. to 5 p.m., Monday through Friday, in our Santa Barbara, California, offices. Pacific Standard and The Social Justice Foundation work closely with two universities, Northwestern and the University of California–Santa Barbara, to offer editorial internships. We are not currently accepting applications outside of these programs.